This isn't a real aerial photograph. It is an old one with Playa Paraiso drawn on it so there are features that haven't been finished yet such as most of the landscaping. 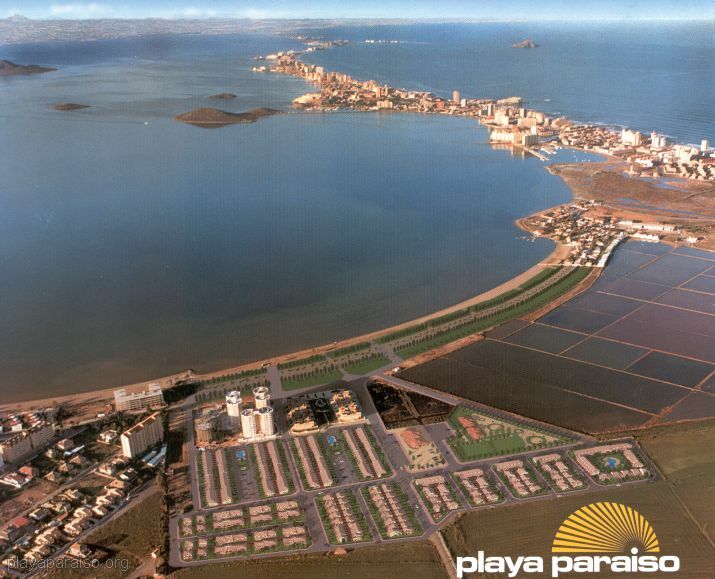 However, it does give a good impression of the location, with the Mar Manor to the north, La Manga strip to the east and Playa Honda to the west.